These are the most flexible travel rewards credit cards -- these cards offer points or miles that can be redeemed for most travel purchases. They offer the most flexibility because you don’t need to deal with award flights (booking flights with points/miles) or airline loyalty programs. You just use your card to book through whatever online booking site you want, or directly with the travel vendors, and redeem your points for statement credit at a 1 cent per mile/point rate toward those travel purchases. For those who want simple and flexible redemption, these are the best travel rewards credit cards. 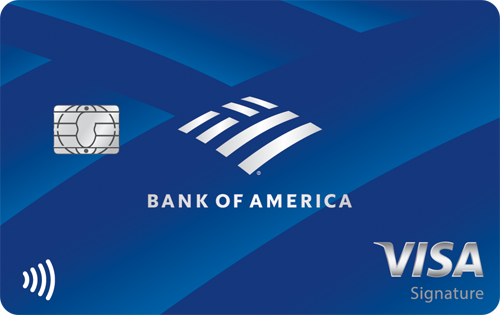 The Bank of America® Travel Rewards credit card allows you to earn unlimited 1.5 points for every purchase, which you can redeem as statement credit toward flights, hotels, vacation packages, rental cars, and more. There are no blackout dates or restrictions, and your points don’t expire. New cardmembers earn 25,000 bonus points, worth $250 in statement credit, if you make at least $1,000 in purchases in the first 90 days of account opening. And if you have an active Bank of America® checking or savings account, you can get a 10% customer points bonus on every purchase! This card has no annual fee. 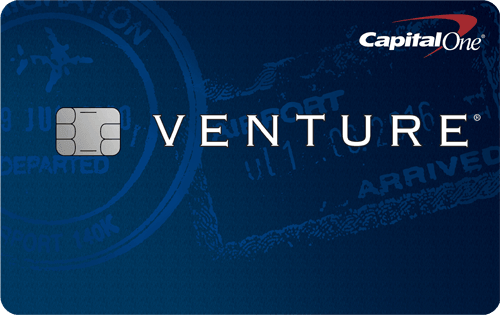 The Capital One® Venture® Rewards Credit Card is another card that gives you a lot of flexibility with your rewards. You earn unlimited 2x miles per dollar on every purchase, every day and unlimited 10x miles on hotels through January 2020 when you pay with your Venture card at hotels.com/Venture. 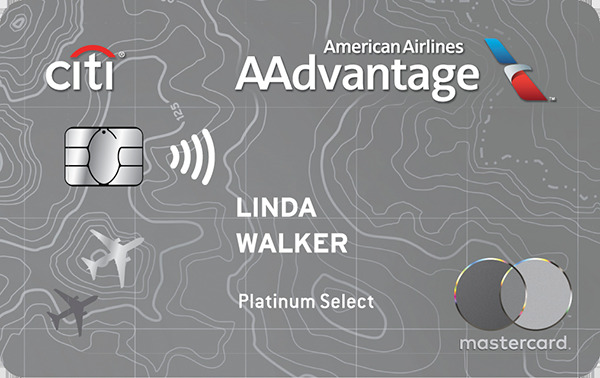 Redeem your miles as statement credit towards travel purchases made with this card. Book any airline, any hotel, rental cars and more -- you aren’t tied to specific travel programs or companies. You can transfer your miles to over 12 travel loyalty programs. You also receive up to $100 application fee credit for Global Entry or TSA Pre✓®. Plus, new cardmembers get a one-time bonus of 50,000 miles (equal to $500 in travel) once you spend $3,000 on purchases within 3 months from account opening. There is an annual fee of $95 that is waived the first year. These credit cards offer two ways to redeem your travel rewards: booking travel through their branded travel portal, or transferring your points to loyalty programs. The catch is that you can only get flights and stays with the card partners. 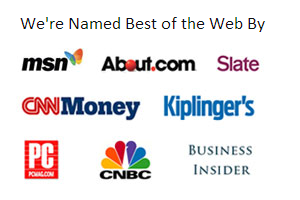 For example, Chase has 11 partners, including Southwest, United, British AIrways, Hyatt, and IHG. American Express cardholders can access Air Canada, Cathay Pacific, JetBlue, Virgin America, Starwood Preferred, Hilton, and more. Redeeming your points through their travel portal can get you more value for your points, or you can transfer your points to their partner programs, and book award flights through that. It takes a little more expertise and research to get the best deal and find what you’re looking for. But you’re likely to get more than 1 cent per point, which can be worth the extra work. 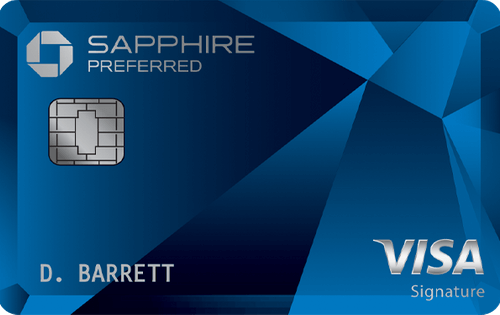 The Chase Sapphire Preferred® Card is a popular option among frequent travelers. Earn 2X points on travel and dining at restaurants & 1 point per dollar spent on all other purchases worldwide. What sets this card apart from the rest is the 1:1 point transfer rate to participating travel programs and the opportunity to get 25% off travel when you redeem points through Chase Ultimate Rewards. Earn 60,000 bonus points after you spend $4,000 on purchases in the first 3 months from account opening. That’s $750 in travel when you redeem through Chase Ultimate Rewards®. There is a $95 annual fee. If you're a frequent traveler with one particular airline or hotel, you will probably be best off using a co-branded card. By adding your credit card rewards to the miles you earn from flying, you will be able to earn free travel even faster. In addition, credit cards that are co-branded with either an airline or a hotel loyalty program can offer valuable benefits. For example, an airline credit card will frequently offer free checked bags, priority boarding and discounts on in-flight food and entertainment. Hotel cards frequently offer elite status in the hotel's loyalty program which can feature room upgrades, late checkouts and even free breakfasts. 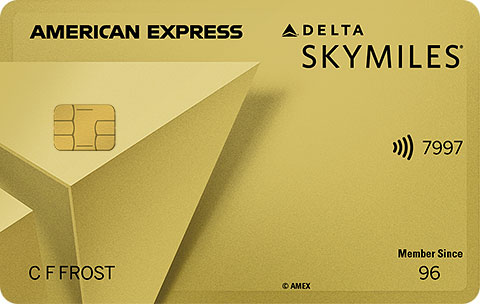 The Gold Delta SkyMiles® Credit Card from American Express offers 2x miles on purchases made directly with Delta and 1x mile on other eligible purchases. New cardholders can earn 30,000 bonus miles after you spend $1,000 in purchases within the first 3 months and a $50 statement credit after you make a Delta purchase with your new card within your first 3 months. This card also offers first checked bag free, priority boarding, and 20% savings on in-flight food, alcoholic beverages, and audio headsets. (Savings do not apply to any other in-flight purchases, such as in-flight wireless internet access and associated services, and charitable contributions.) You and two travel companions may enjoy Delta Sky Club airport lounges at a reduced rate. Terms apply. There is a $0 introductory annual fee for the first year, then $95. See Rates & Fees. Click here to learn more and apply for the Gold Delta SkyMiles® Credit Card from American Express today! The final type of travel reward credit card offers premium benefits for people who are looking for comfort and convenience when they travel. These cards offer airport lounge access, elite status with hotel programs, as well as a statement credit towards the application fee for the Global Entry program or TSA precheck. Typically, these type of premium travel reward cards have an annual fee of $400 - $450. While the Platinum Card® from American Express is a charge card rather than a credit card, it still offers a number of valuable travel benefits for cardholders, such as Hilton Honors Gold status, an airline fee credit of up to $200 per year, fee credit for Global Entry or TSA Precheck every four years for the application fee, access to more than 1,200 airport lounges, and Uber savings up to $200 annually. 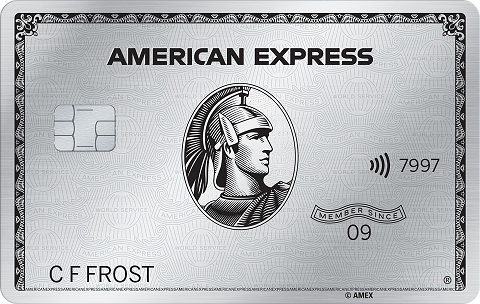 Also, upon enrollment, get up to $100 in statement credits annually for purchases at Saks Fifth Avenue on your card. This card also awards 5X Membership Rewards points for flights booked directly with airlines or with American Express Travel, 5X points on prepaid hotels booked on amextravel.com, plus 1X point for other eligible purchases. New cardholders earn a bonus of 60,000 points after spending $5,000 in purchases within the first 3 months. Terms apply. The annual fee is $550. See rates and fees. For those who don’t travel often but want to rack up points for a cheap or free vacation, a card that offers a statement credit on travel purchases or discounts through its travel portal will be ideal. In addition, the programs that offer transfers to airline miles and hotel points can be great for award travel enthusiasts who really know how to get the most value from different frequent flyer programs. But for loyal customers of a particular airline or hotel program that travel at least a few times a year, a co-branded travel rewards card will be the fastest way to earn free travel while enjoying benefits that make travel more convenient and comfortable. The premium travel reward cards are for those who consider their benefits invaluable and are willing to pay a high annual fee for the advantages. And while these cardholders also earn flexible travel reward points that can be transferred to airline miles, the main reason to consider a card is for its perks like airport lounge access, personal concierge assistance, and more. By understanding how different types of travel rewards credit cards work and examining how you will use a particular travel rewards card, you can choose type of card that will offer you the most rewards and benefits.